I'm not one to choose bland food - I can eat it if I have to, but given the choice, I'll play with the recipe until I get something with flavor. And if it looks good, that's bonus points. 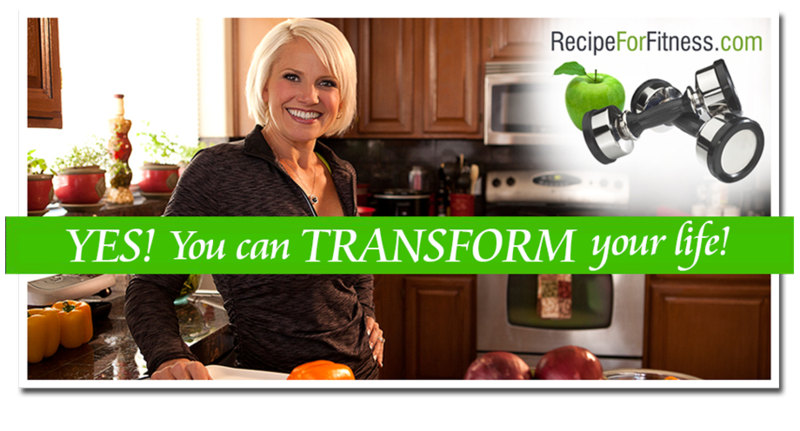 I'm also not one to enjoy cooking twice for the same meal, so creating recipes that please my family and fit with my training diet is essential not only to my taste buds, but also to my sanity. This Stuffed Chicken recipe hits all the notes. 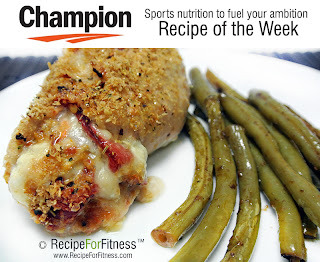 It's "cheesy", full of flavor, moist, and has a crunchy coating. And it's training friendly. And my non-training-diet-eating-family love it! (Oh - and Melanie? 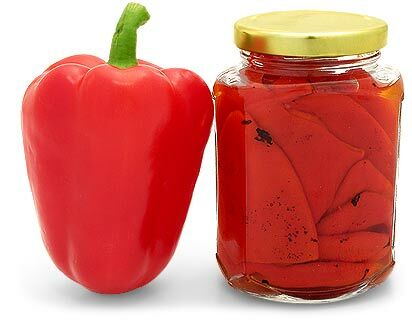 It's not spicy. wink-wink.). 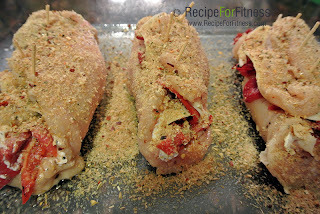 Best of all, it's super easy to put together and pounding the bajeebers out of the chicken breasts is highly therapeutic. ;-) Enjoy! *If you don't know how to roast a red pepper, pick up a jar of them from your local grocer. Be sure they're packed in water (not oil). Spray a glass baking dish with oil. 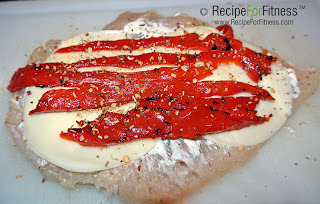 Place trimmed chicken breast between two sheets of plastic wrap on a cutting board. Using a meat mallet (or whatever is handy), flatten the breast to about 1/4 inch thick. Remove plastic. 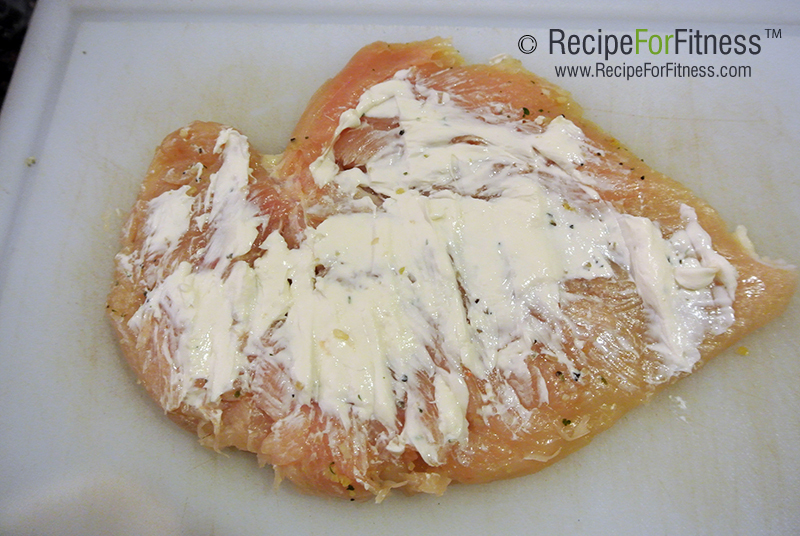 Spread cream cheese across the inside of the breast. Layer the two slices of ultra-thin cut provolone, then roasted red pepper. Sprinkle with Mrs Dash Italian Blend. Beginning at the smallest end, roll the breast up, tucking the peppers in as needed. 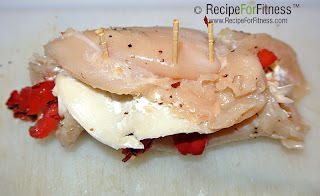 Place chicken roll on baking sheet. 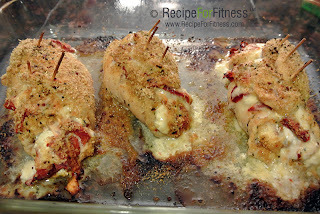 Spray top of chicken with cooking oil, then sprinkle with the ground flax and more Mrs Dash. Bake at 375 until cooked through (about 40 minutes) or until internal cooking thermometer shows done. Per serving: 328 calories, 46 grams protein, 6 grams carbs, 11 grams fat, 2 grams fiber. 4 grams net carbs.